Bruce David Sutherland obituary. Carnes Funeral Home. Bruce Sutherland, 64, passed away August 7, 2018, at his home in San Leon, Texas. Bruce grew up in Pittsford, New York and attended Pittsford Sutherland High School (located on Sutherland Street, no less!). Some of his best memories were summers spent with family at Keuka Lake in the beautiful Finger Lakes region of central New York, at the family’s lake house. Bruce is well known in local grocery stores and restaurants due to his ownership of distributorships for Flowers Bread and Pepperidge Farm. He made daily deliveries, seven days a week, for more than two decades. He considered those he worked with to be great friends. He enjoyed working on (endless) projects at his property in San Leon, taking things apart, and simple things like an old-fashioned PB&J, sailing, diesel motors, coffee, and good conversation. Bruce was a true people person and saw good in everyone he met. He believed everyone deserved as many chances as it took to get them on track and was a rock to those that needed him, selflessly lending a hand without a second thought. 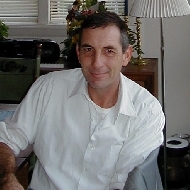 He is survived by his two sons, Tim Sutherland and Kevin Sutherland; his stepdaughters, Amy Fontenot and Jennifer Haardt; his sister Sharon Frost and her husband Jack; his sister Joan Wagner and her husband Keith; his brother Richard Sutherland; and his brother Todd Sutherland and his wife Ramona. Bruce was also the favorite uncle of his nieces and nephews Heather Panick, Joshua Sutherland, Lauren Cavuoto, Whitney Frost, Jake Sutherland, Jon Sutherland, Joseph Sutherland, Kent Wagner and Jillian Wagner. He will be greatly missed by his relatives and friends. Services will be held Saturday August 18 at the Carnes Funeral Home in Texas City, Texas, 3100 Gulf Freeway, with visitation beginning at 3 pm and a service at 4 pm with Pastor David Brinkley officiating. After the service concludes, there will be time to pay respects until 6 pm. Bruce will be cremated and placed with his parents, Ronald and Nina Sutherland, in New York, along with other family members who predeceased him. Rather than flowers, please consider a donation in Bruce’s memory to His Touch Worship Center. The church meant a lot to Bruce due to his son Kevin’s love for the fellowship which guided Kevin in times of need and in his walk with God.